Often regarded as the ‘Tourism Capital of Maharashtra’, Tourist and sightseeing attraction best places to visit in Aurangabad. 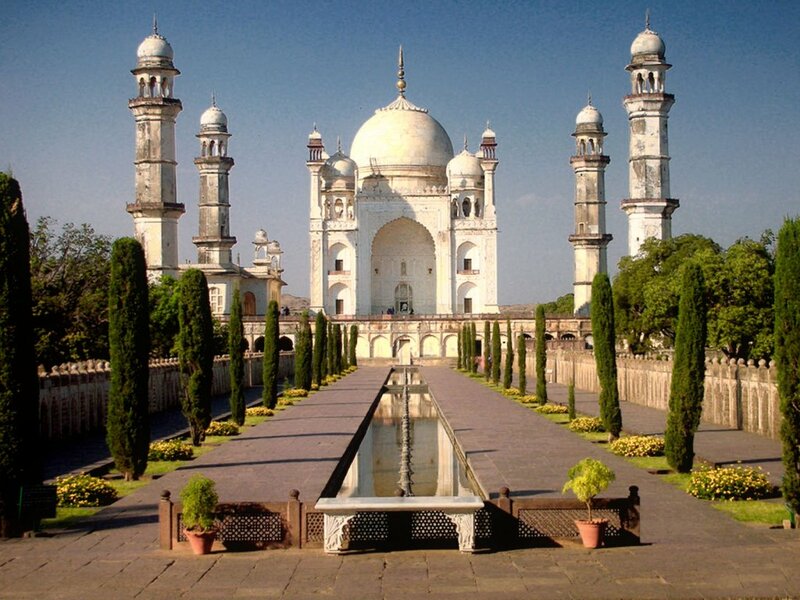 Aurangabad has its name amongst the major Tourism oriented Cities in India. Aurangabad owes its tourism heritage to many historical monuments, including the Ajanta Caves, which are around 30 rock-cut Buddhist cave monuments and date from the 2nd century BCE to about 480 or 650 CE and Ellora Caves, which presents monuments and artwork of Buddhism, Hinduism and Jainism from the 600-1000 CE period. Both the caves are UNESCO World Heritage Sites. Other attractions include the ‘Bibi Ka Maqbara’ situated about 3 km from the city which is the burial mausoleum of Emperor Aurangzeb’s wife. The ‘Daulatabad Fort’ located in north-west of Aurangabad was one of the most powerful forts during the medieval period. The tomb of the last great Mughal emperor Aurangzeb is located in the city. Aurangabad is also referred as ‘City of Gates’, a validation of this title is the presence of 52 gates in the city, each of which has a local history. The old city still retains the cultural flavour and charms of Muslim culture of Hyderabad. Its influence is reflected in the language and cuisine of the locals. The Amazing cuisines and tourist attractions are well enjoyed by the tourist with presence of wide range of Hotels along with Frotels providing options of Luxurious as well as budget Hotels with customer friendly options of Full day as well as Hourly booking for Transit or economic stays. Aurangabad Airport is the serving Airport of the city and has flights connecting to Hyderabad, Mumbai, Bangalore, Delhi and Tirupati. The beautiful and well-managed railway station of Aurangabad has rail connectivity to major cities such as Hyderabad, Delhi, Nagpur, Pune, etc.